What do John Wayne, Clint Eastwood, Robert Duvall, Tommy Lee Jones, Steve Zahn and Carl Urban have in common. Yes they are actors. Okay, they’re some of my FAVORITE actors who have portrayed Texas Rangers. Rangers have been the star subjects of the screen since the beginning of movies (1910: The Ranger’s Bride). In fact, it’s thought that the movie portrayal of good guys in white hats comes from the tradition of Texas Rangers wearing white hats. REAL WHITE HAT HEROES ~ No matter what’s portrayed on the screen, you can do an internet search for a record of corrupt or prosecuted Texas Rangers. You’ll find… insert crickets chirping. Quite honestly, this makes it much harder to write these true Texas heroes. No reported internal corruption or officers who betray their duty for money. So developing four stories for Harlequin Intrigue and staying true to the organization that I admire was challenging. BULLETPROOF BADGE is the first of the TEXAS RANGERS: ELITE TROOP series (available for pre-order if you’re interested). One of the devices I used to keep this book exciting… My Texas Ranger hero is accused of murder. As a result, he can’t rely on Company or law enforcement for help. He has to protect the only witness and find the actual killer. I think it’s a toss-up between THE LONE RANGER and WALKER, TEXAS RANGER for the most famous television series. When we visited the Hall of Fame in Waco, half the silver screen room is dedicated to Chuck Norris. He tried very hard to make his television series true to the modern day Texas Ranger. He was made an honorary Ranger (see it here) and speaks about wanting the series to reflect the traditional values of the Rangers. My father loved WALKER, TEXAS RANGER. It was one of the few things he’d record and keep for his VCR. An episode was even filmed using my daughter’s elementary school. I missed it when it originally aired (too busy running three kids everywhere). But I do watch the reruns. And I’ve seen many of the movies and television series made about rangers. I accidently (I swear it wasn’t on purpose) named my first Texas Ranger hero Cord. When I realized that I had used the same first name (Cordell Walker), I wrote WALKER into the story and said the character was named AFTER my hero because the hero’s father had consulted for the show. I HOPE that my Texas Rangers series for Intrigue is fictional, yet true to the traditional values these men who serve my state have set. Each story stands on its own, but all are woven together because the characters are from Company F (based in Waco). Of course, all my stories end with a happily ever after…I wouldn’t have it any other way. the Texas Ranger Hall of Fame and Museum. Leave a comment and enter my BIRTHDAY Rafflecopter drawing for a $20 Gift Card. Giveaway is through Rafflecopter and ends on October 13th. Contestants who enter through the Rafflecopter drawing can register for additional chances. By leaving a comment on Just Romantic Suspense, click the JRS comment and receive extra entries into the Rafflecopter drawing. 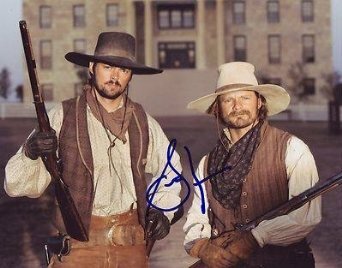 Do you have a favorite Texas Ranger character on television or in the movies? I never missed an episode of Walker, Texas Ranger. I loved the show and all of the characters. I also have enjoyed every one of your Intrigue books that I have read. Did you like "THE END" of Walker -- as provided by their television movie? I will have to read one of your books to appreciate a Texas ranger. P.S. I did go to your Facebook page but could not get into Amazon as it is for US and I am from Canada. And I can't delete the 5 points. Don't worry about that Janet. Thanks. I know some Australians who can order receive a gift card from the US...have you checked into it? Awesome. Thanks for stopping by Liz ! Thanks Tammy ! Glad to "see" you. Cordell Walker...nice roundhouse kicks ! Hmmm, I read more books with Rangers than watch... One of my favs is written by Diana Palmer. Awesome ! Reader over Watcher....love it !! I'm always curious about the stories...but also the locations because Chuck Norris shot locally. Walker, Texas Ranger with Chuck Norris: But, I remember Glen Campbell playing a Texas Ranger in True Grit with John Wayne. I've read some books with Texas Rangers in them, but can't remember any specifics at the moment. Glen Campbell was such a surprise in Tru Grit ! I was so surprised by the ending ! OOOhhhh... I wonder if I have Grit TV. Hope you read Texas Rangers, too ! It would have to be Walker Texas Ranger, my husband still watches this show now when he finds it on. Entering under the name of Virginia. I only saw Walker a few times, but I did like the movie True Grit that Donna E mentioned. Awesome Sharlene ! Thanks for stopping by. I like CHASE. The star went on to Law & Order: SVU. But they seemed to drive all over Texas and get places in a couple of hours. Amy did you ever see LONESOME DOVE? If I ever have a question about Cordell...I'm coming to you! I liked the Texas Ranger on the movie True Grit. Matt Damon on the remake a few years ago .. Glen Campbell if you go back to the original. Walker, Texas Ranger was the best of all the shows about the Rangers. As a kid I did like the Lone Ranger movies. The one that comes to mind is Walker, Texas Ranger. Too bad they don't make any good western movies anymore. Hoping they will make a come back....LOL. Walker Texas Ranger, I've always liked that one. It really shows Texas Rangers in a good light.